10 Strands of our 6/11 Ombre extensions in 18" length. Love the Ombre look? PURE� has taken the guesswork out of the look. Our educators and stylists requested an easier way to Ombre so we set out to create it without the use of chemicals on the client�s hair. The result is our Ombre Accents. Now, with PURE's Ombre extensions you can help your client get the look in a fraction of the time. Ombre Accents are available in 4 different shades and 2 different lengths to blend seamlessly with your client�s style. 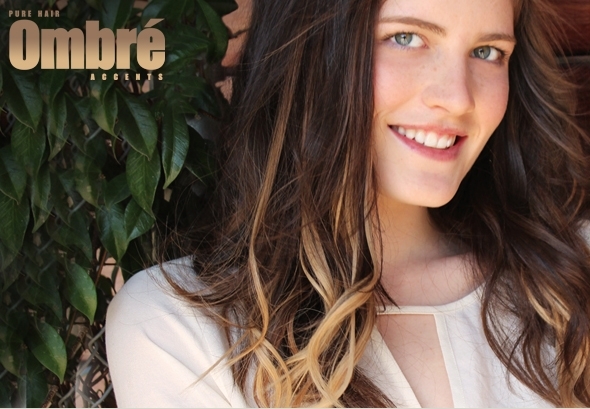 Ombre hair, just like all PURE hair, is the finest quality 100% Remy human hair. Note: Colors display differently on different monitors.